This book is endorsed by Tiffin and Newmar Motorhomes, and has everything you need to know, to clean your RV inside and out. 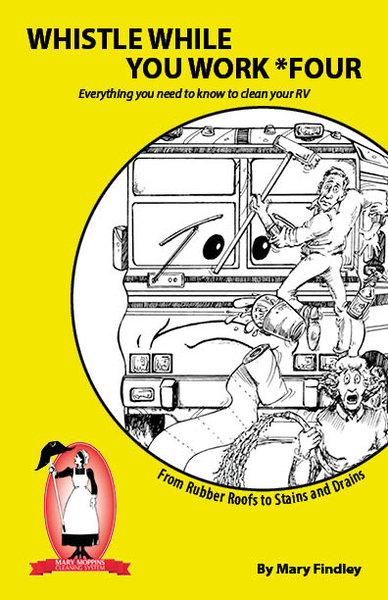 Mary Moppin’s booklet Whistle While You Work *Four is a favorite ‘go to’ booklet for anyone who owns a motorhome, RVs, trailer, fifth wheel or toy hauler. Find the answers you need in this handy little book. Endorsed by Tiffin and Newmar Motorhomes.